A pencils doodle for Berceuse by wickedthoughts. 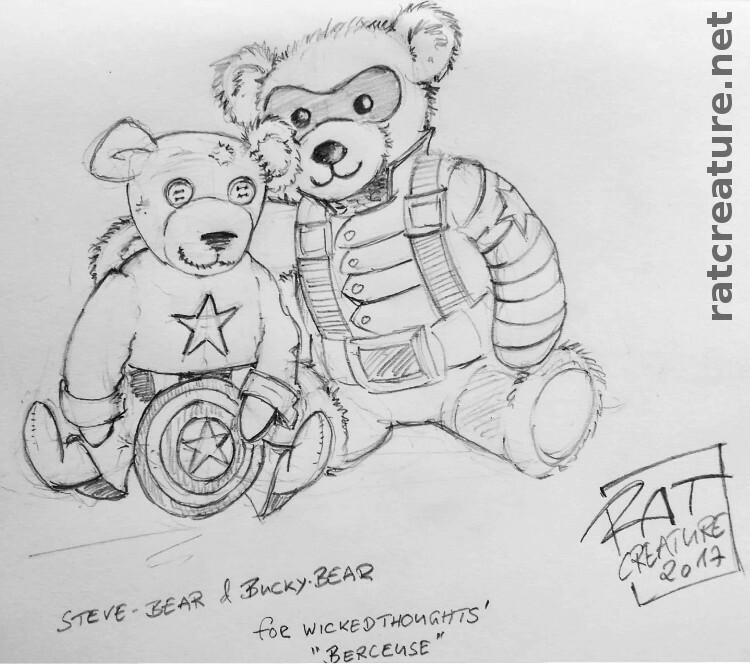 showing a new Bucky (Winter Soldier) Bear and a battered old teddy bear in a new Captain America costume. Inspired by Berceuse by wickedthoughts. Okay, so, while my picture is really harmless and cute, the story "Berceuse" by wickedthoughts is Hydra Trash Party, so if you go on to read, you need to check the tags, whether the kinks match yours, as my picture only reflects parts of it, and I tagged only for its direct content. Please do not distribute my art without my permission, i.e. do not upload my art to other sites, services, archives, or wikis. That includes uploading the images themselves to your own Tumblr, even with credit.